Where to Rent a Metal Detector? You lost your ring … now what? Time and time again, I hear from people I help directly as well as other Ring Finder success stories … they start out by looking for where to rent a metal detector. However, this is honestly the worst thing you could do after your lost your ring. Yes, people are successful renting a metal detector and finding their lost ring … by why take a chance? 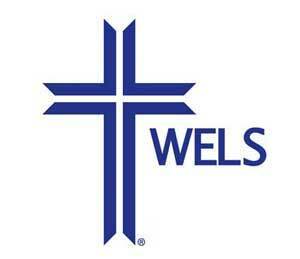 If you are in the Madison or Middleton, Wisconsin area, then give us a call right away. We can also arrange for searches throughout the states of Wisconsin, Illinois, Iowa and Minnesota. Now, I am going to try to convince you why you shouldn’t rent a metal detector and instead call a professional ring finder. Face it, you’ve never used a metal detector before. Why do you think you’ll be successful on your first attempt. While I admit it’s not rocket science, depending on where and how you lost your ring, it can be complicated. Stop looking for where to rent a metal detector and call a professional. Look around … trash is everywhere. Now think about the past 10 … 20 … 50 years of trash. A lot of it ends up buried in the ground. 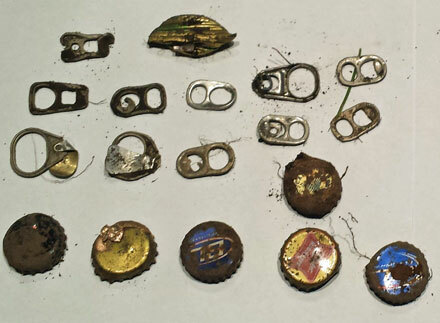 When you wave a metal detector over the ground, guess what it will pick up – trash. 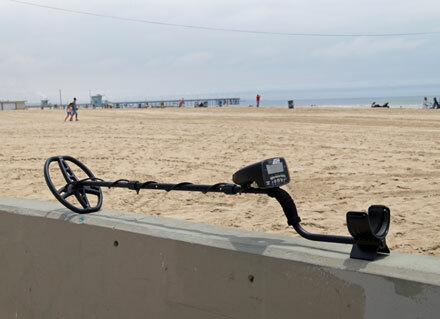 I hear the stories all the time … person rents a metal detector, turns it on, then it beeps. They get super excited … only to dig up a pop top, gum wrapper, or other metallic piece of junk. After a dozen of these, that excitement quickly turns to frustration. I will never buy a car that was a rental in a previous life. Why? Because I know that when someone drives a rental, they do not care for it like it is their own. Same holds true for a metal detector rental. They are typically basic models, not regularly maintained and the staff typically does not know how to operate them. I have heard multiple stories of people renting a metal detector, only to find out later it was not working correctly. Imagine the people who rented a metal detector, didn’t find their ring … but it wasn’t working correctly. They might have been standing ring on top of their ring and not even known it. So, there are lots of reason why you should not rent a metal detector when you have lost your wedding, engagement or class ring. Rather, give us a call because we know what we are doing, we will make every attempt to come out as soon as possible, we know how to ignore the junk in the ground and we have high quality equipment. Plus, our standard call out fee is the same or less than renting a metal detector. Lost Ring in Lake Found by Snorkeler … from 1928!